Owing to the rich industrial experience and expertise in this business, we are engaged in manufacturing, supplying, wholesaling and trading of Power UPS to our clients. Offered Power UPS is highly demanded for reliable working. 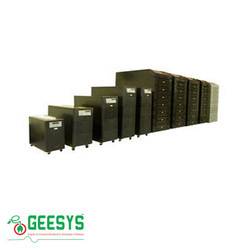 Due to our enormous understanding and massive knowledge, we are involved in offering Online UPS. GEESYS Offers wide range solar Junction boxes under SUNBOX name. 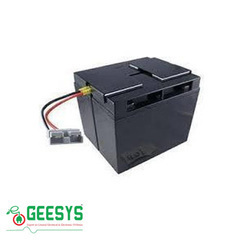 GEESYS is instrumental in offering our clients with highly functional PV Array Junction Box. This PV Array Junction Box that we offer is fabricated with the use of latest technology and is suitable for different Solar Power applications. Our PV Array Junction Box is properly tested by the experts under strict industry norms to guarantee flawless functioning and durability. 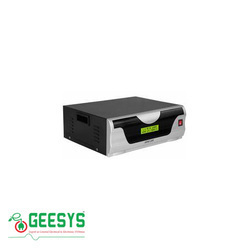 The GEESYS SUNBOX is equipped with an IP66 rated enclosure to protect the cabling against extremes of heat and humidity. In addition robust screw clamp terminals make for easy cable connection. Superior thermal characteristics resulting from intelligent spacing and cable layout, eliminating the need for forced ventilation in extreme ambient temperature environments. We are backed by diligent team of experts who enable us in offering a comprehensive range of Solar UPS. We have established ourselves as coveted organization, involved in offering Home UPS. 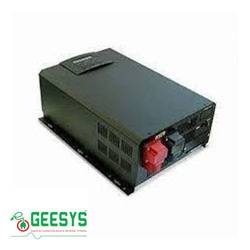 Matching up with the ever increasing requirements of the customers, we are engaged in providing UPS Battery. 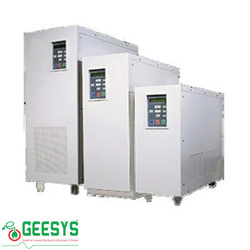 Owing to our rich industry experience, we are able to offer Three Phase UPS System. 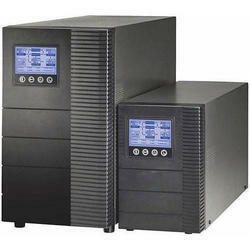 With vast industrial experience, we are involved in offering a wide range of Single Phase UPS System. We provide Industrial Online UPS to our clients.